Do you find wading through resumes tedious? 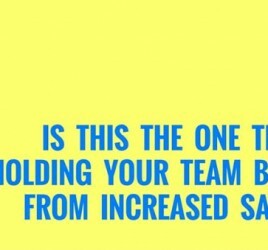 Are you finding it difficult to get the best people for your team? I want to share a tip with you I came across recently in the most unlikelyof places. 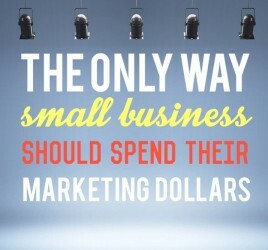 It can be applied across a swag of industries and help you save a plenty of time. I discovered it in my local shopping centre at Lovisa, a jewelry and accessories chain. Their approach is one I believe could be used any time you’re looking for staff who need to show their personality or if customer service is a key component in their role. Straight forward right? But on the back is where the gold is. This is a nifty way to sort through resumes, from a chain that likely receives thousands of applicants every year. How could they possibly sort through the applicants and choose the very best people with the vibrant, confident personality a store like this needs? I asked the staff in the store how this process works out for them. The ladies on the floor explained to me that a being a fashion accessories store, they get handed tens of resumes each week and when staff show them the ‘how-to apply’ card, many reply in disbelief with ‘Oh…I have to make a video of myself?’, indicating they’re too shy to do it. 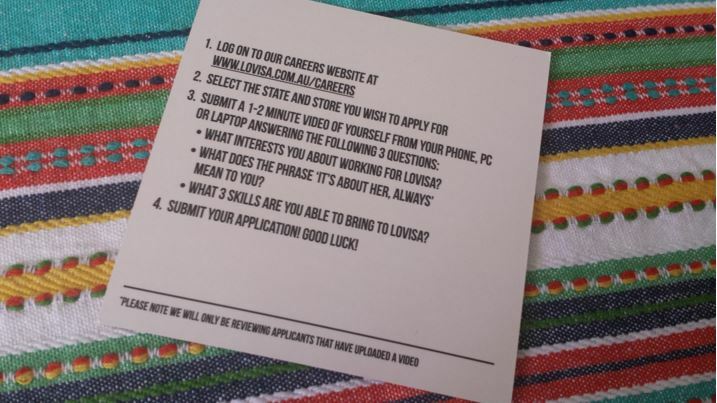 People who really want the job do it, so this instantly cuts out a bunch of applicants who essentially aren’t prepared to tailor their resume to Lovisa’s success criteria. Who wants a shy salesperson? Lovisa doesn’t. What better way to see the personality and vibrancy of each applicant than through a short video?! 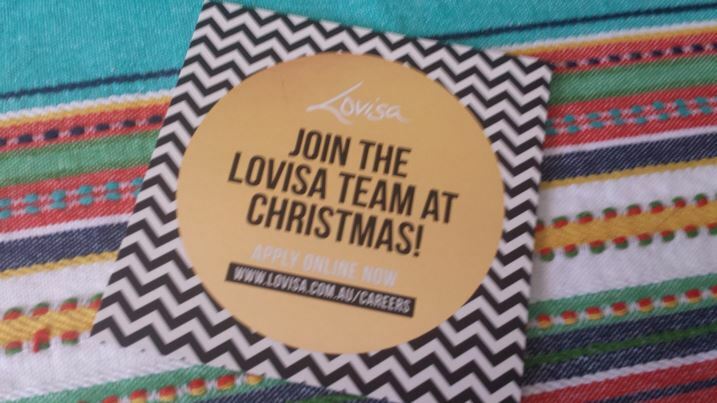 What a great way to determine if their personality matches the Lovisa brand. With only three questions and the 1-2 minute time frame, this is a perfectly simple way to get the most important information you need from applicants. It’s like tying the resume-reading and interviews processes into one step. Think about the time it takes to read through all the applicants, the time it takes to meet in person not to mention all that resume-accepting in-store taking attention away from real customers. The info card is a quick and easy way to learn what’s needed so staff can get back to the floor. So, the video job application concept is potentially more real, more of a time saver, plus it’s an easy way to reduce the impact on the Earth as you’re no longer accepting a paper version. Do the people in your business need to demonstrate personality or another trait that you just can’t get from reading a resume? Could this approach help you discover the best people for your position, faster?